One thing that every woman wants are nice nails. Weekly trips to the nail spa can do wonders for your nails but let’s face it, we are all busy people and finding the time isn’t always that easy. 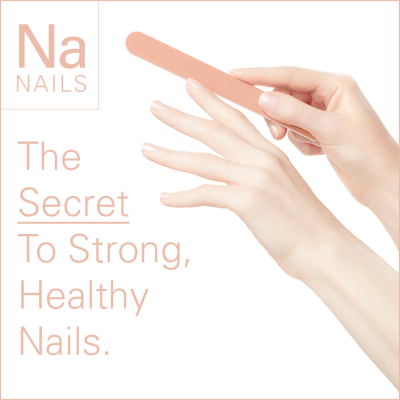 You probably already know that diet plays a huge part in achieving strong, healthy nails. Our nails are made out of a protein known as keratin so by adding more protein to your diet such as nuts, lean poultry, fish, spinach and other dark, leafy green vegetables you will stabilize the building blocks for healthy nails. BUT…let me let you on a little secret that you may not know. Horsetail which is also known as equisetum arvense, goes back to pre-historic times. And while most people think horsetail is nothing more than a pesky week, it is actually a valuable beauty tool. This is because the stems of horsetail have a very high mineral and silica content, which is great for strong nails. In addition, it strengthens the bones, fights fungal infections and works wonders for the hair. What is silica, and why do we need it? Silica is a mineral which is absolutely essential to bone growth and development of the body. We are actually born with a high amount of silica already in our systems but as we age we start to lose the silica and our bodies start to despot the calcium – which is why as we get older, our bones are not as strong as they were when we were young. Silica also helps promote hormone balance and energizes the immune system by alkalizing the body. Silica is also one of the biggest components of collagen, which makes our skin look soft and taught. How can horsetail help with improving your nails? You can use horsetail in two ways. If gathering fresh horsetails doesn’t exactly work for you (and I don’t blame you!) then you can purchase ground horsetail from most health food shops. To make a batch of horsetail tea simply use one teaspoon of dried horsetail and brew in hot water for 8-10 minutes. Horsetail is a diuretic so make sure you drink plenty of water. Since the tea is an acquired taste, you might prefer to apply it topically. Take 3 tablespoons of dried horsetail and place it in some olive oil on a low heat. Leave to simmer for about an hour. Let cool. Place in a jar to store. Rub the oil directly on the surface of the nail at least once a day. The mixture is greasy, so it’s best to do this before bed. After the very first application you’ll start to feel that your nails are stronger. If you combine using horsetail with eating other foods high in silica such as almonds, apples, beetroot, celery, oats, strawberries and sunflower seeds – you’ll end up with beautiful, strong nails in no time. 2 Responses to The Secret To Strong Healthy Nails. Most welcome. Glad you found the content helpful.